American DJ Crazy Pocket 8 for sale at Yowcha! Grimsby Music Shop UK. American DJ Crazy Pocket 8 for sale at Yowcha! Grimsby Music Shop UK. 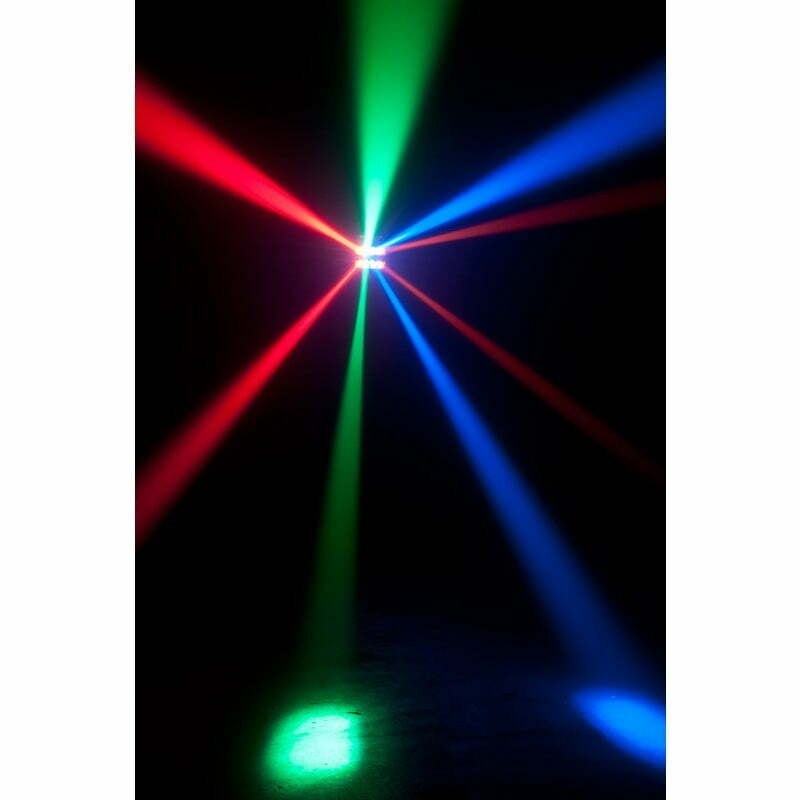 Home / Stage Lighting / All Disco, Mobile, Stage Lighting / American DJ Crazy Pocket 8 Moving head LED Disco Light. Party Time! 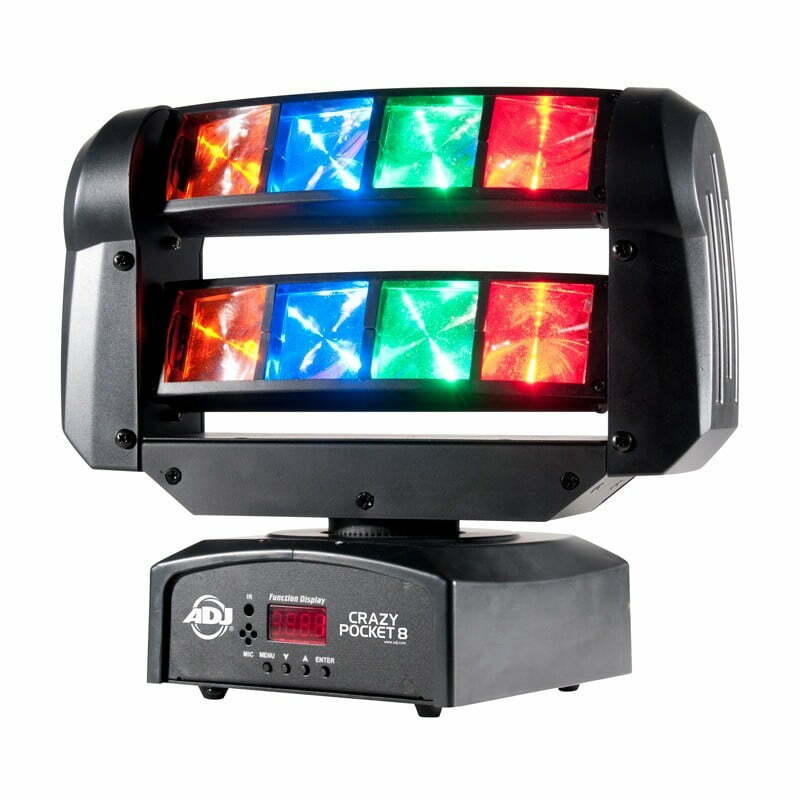 American DJ Crazy Pocket 8 Moving head LED Disco Light. Party Time! 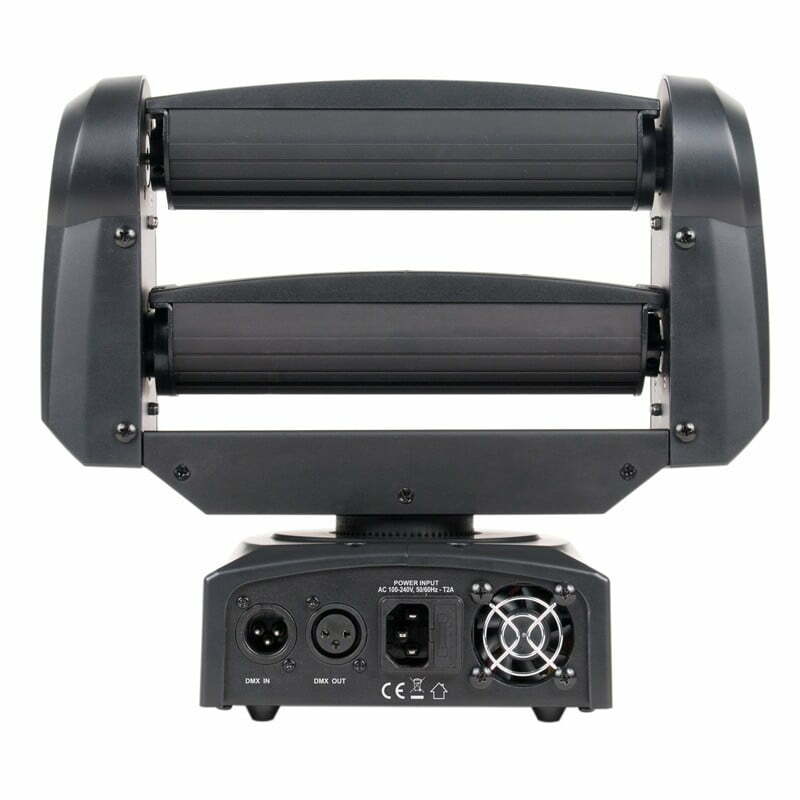 The American DJ Crazy Pocket 8 Moving Head creates exciting lighting effects with its quick sweeping beams and 8-Zone chasing, pulsing and strobing LED’s. 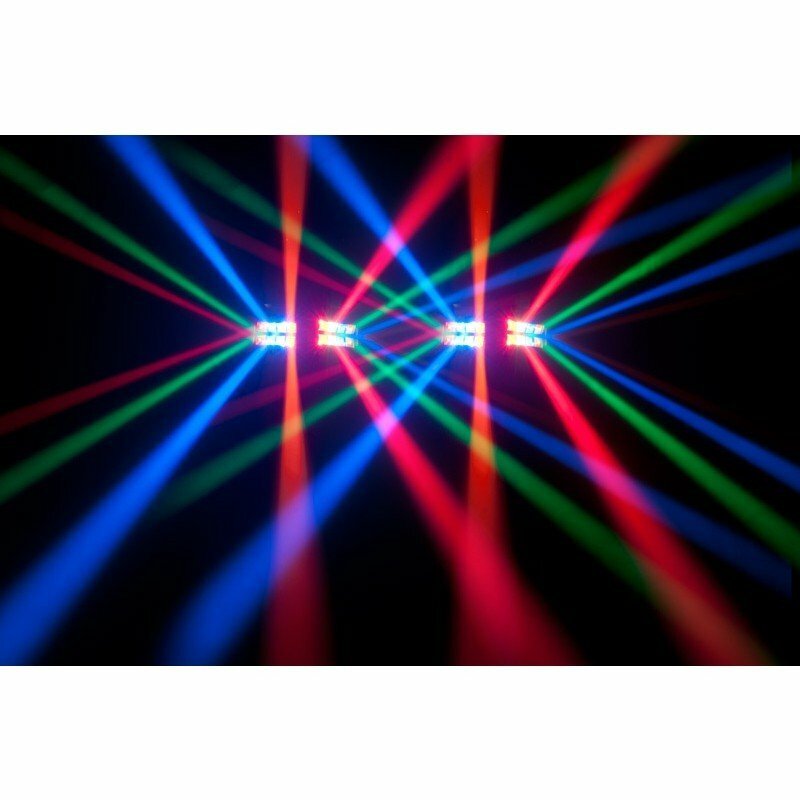 This unique fixture features two independently tilting bars (each with 4 lenses) that project tight, 4.5 degree beams of light from 3-Watt RGBA LED’s. The Crazy Pocket 8 offers 4 DMX Channel modes and a 4-Button LED menu. It may be controlled via it’s own built-in programs, a DMX Controller or the easy-to-use UC IR Remote (Sold Separately) or Airstream IR. Best when used in multiples, the Crazy Pocket 8 is designed for stages, nightclubs and mobile entertainers. – Runs extremely cool! – NO Duty Cycles! – Run all night!